Unless you have been spending the first two weeks of the year on a deserted island all alone, you mayknow that from January 8-11 Las Vegas became a world technology capital, hosting the CES 2019 for the 52nd consecutive edition.More than 4,500 companies, almost 12,000 startups from 50 different countries and more than 180,000 attendees from all over the world, this year’s Consumer Electronic Show has once again become the worldwide technology fair where the main consumer technology innovations were presented. This time, what happens in Las Vegas doesn’t stay in Las Vegas. By the end of the year, a lot of media and experts predicted that Artificial Intelligence (AI) will have a very important role at CES 2019. And so it has been. Beyond the different gadgets, wearables (electronic devices that are incorporated in some part of our body), virtual assistants (Google Assistant), robots and smart TVs (such as the LG roll-up TV) that were presented at this show and captured all the attention for their attractiveness, underlies a clear advance in the development of AI. Behind almost all devices shown this week are automatic learning algorithms that capture, process and optimize data and to make our lives easier. In Gradiant we have a great team with more than thirty professionals working on AI-based developments with different fields, such as Computer Vision, Machine and Deep Learning, Data Analytics and Big Data. All over the years, we have developed our expertise in IA for intelligent video analysis, biometrics, cybersecurity or document security. Valida, our IA-based solution for detecting document forgery (jpeg and pdf) in digital processes, is precisely in this last field. This tool was presented for the first time at CES Eureka Park and allows companies to offer an extra level of security to their customers, as well as helping to prevent spoofing in digital user authentication processes. IBM president and CEO, Ginni Rometty, in her opening speech at CES 2019 pointed out that in the next few years, AI is going to demonstrate that “data is the greatest natural resource in the world”, showing its value. But like all useful assets, this value is associated with some problems, such as security and privacy ones. That’s why user privacy and data management has once again become the controversial topic of the week, from the limited information on the impact of the new RGPD to the security leaks of some companies and Apple’s billboard. In Gradiant we’re betting on information securely processing technologies in the encrypted domain to ensure information privacy (even during processing) and security, along with intelligence and connectivity, remain one of our main axes of activity. 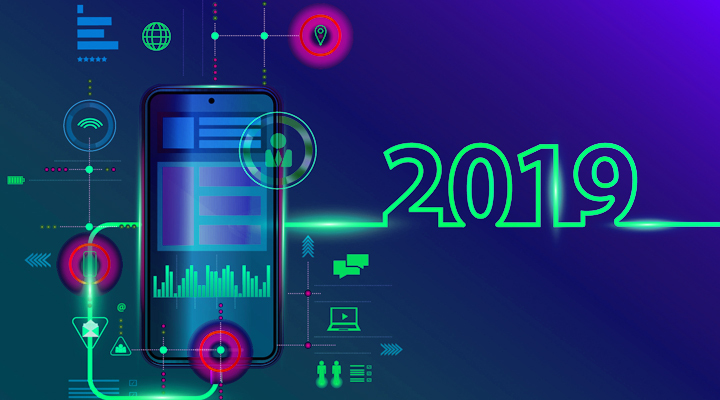 CES 2019 has confirmed that 5G network – the next generation of mobile technology that will improve speed, coverage and reduce latency time of wireless networks – is expected to be the key mobile technology in the upcoming years. Although we are sure that the most exciting news about the implementation and compatibility of this network in mobile devices come at the Mobile World Congress in Barcelona (where Gradiant will also be at), some operators such as Verizon and AT&T showed their advances in Las Vegas. As Artificial Intelligence, the smart interconnected objects has been monopolizing conversations in the last CES editions. Smart homes are getting closer and closer due to the emergence of all kinds of devices such as the robot to fold clothes or the intelligent mirror. Other gadgets showcased in the same line have been smart locks and bells, remote ventilation control, lights, smart plugs, smoke sensors or intelligent bathrooms. The highlight, however, was the Rover Speed II robot case, a storage box that uses the technology used in autonomous vehicles and follows the passenger without the need to load it, overcoming obstacles. Beyond these daily uses, we have been contributing for years in the evolution and integration of transversal technologies across different fields, among which stand out for their involvement in industry and society: Smart Farming, Smart Cities and consumption systems for end users, and especially Industrial IoT and Factories of the Future (FoF). On the ethics of technology, digital trustworthiness has also been a priority topic during CES 2019. More and more homes are connected and more and more people depend on DVA (Digital Voice Assistants), and the services they provide (medical advice, financial management, etc.). In general, and directly related to the security problems we talked above, consumers have become more cautious and rigorous about corporate ethics, privacy and data security practices, and therefore expect greater control over who has access to their location and other sensitive data.